This sleek Kiddush cup will enhance your Kiddush ceremony and Shabbat table. 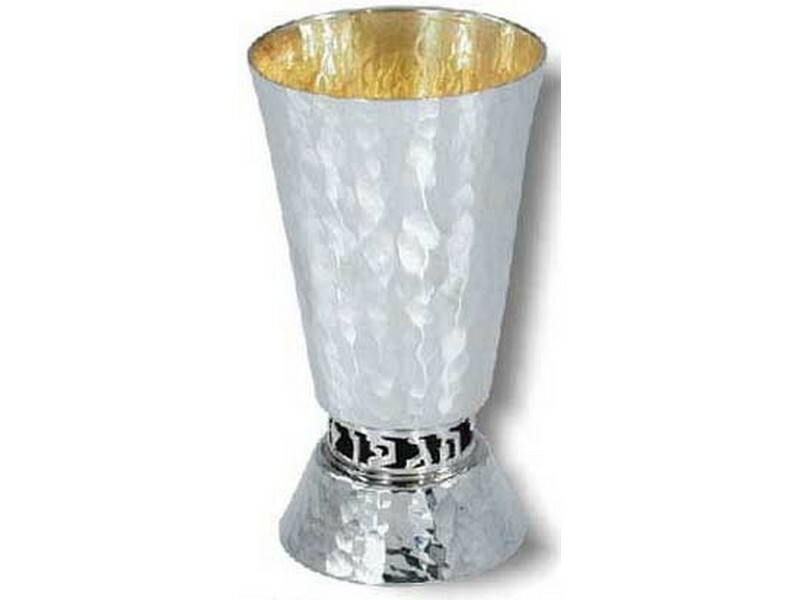 Made of hammered nickel this Kiddush cup has a straight cup with a contemporary look. At the base of the Kiddush cup the words “Borei Pri Hagafen” are carved in individual letters. Comes complete with a velvet box making it the perfect choice as a bar/bat mitzvah gift!